On February 2nd, I went to the Korean Culture Show, serving as a member of the Korean International Student Organization (KISO). The Korean Culture Show is one of the biggest Korean culture events held annually in Ohio State. 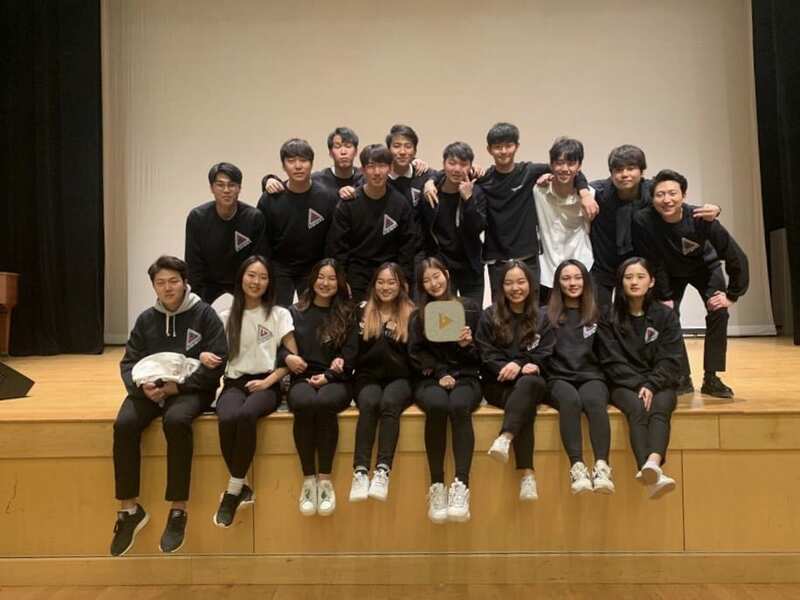 Anyone can come to the show and feel free to experience the Korean culture, ranging from Samullori(a performance with four traditional Korean instruments) to dancing. Although I am a member of KISO, as I just enrolled this semester, I did not know a lot about the show before actually encountering it. The show started off with a group of people singing a K pop mashup. What surprised me was that the group consisted of non Koreans (by ethnic meaning) and all of them were not native Korean speakers. The show was really enthusiastic, because I believe the audiences, as I did so, could feel the performers’ passion and love towards K pop. Although I am not sure if they arranged the songs into a mashup, I can assure that they must have taken a lot of time into practicing not only singing but also speaking and understanding the Korean lyrics. It was a very meaningful performance because it was my first time seeing that I could interact with people outside my culture by my culture. It is just amazing that someone at the opposite side of the globe love my culture and want to share their enthusiasm with us. 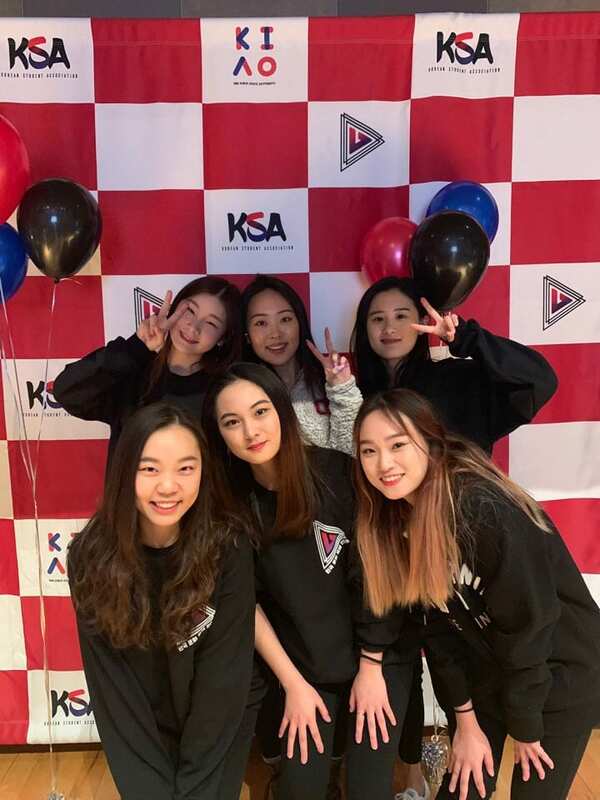 There were a number of groups of non Koreans that performed K culture such as Taekwondo, or Korean martial arts, and they each brought me a huge impact. Performances by not only non Koreans but also native Koreans flourished the show. While the first part of the show focused more on non Korean groups and Korean culture, the second part of the show consisted of K pop groups performed by Koreans. If the first show touched me by feeling of sharing my culture, the second show was full of energy in general. Koreans love concerts and interacting with performers. The audiences could experience the Korean culture by actually interacting with the performers, say waving their flashlights at a singing group and shouting chants loudly at a dancing group. 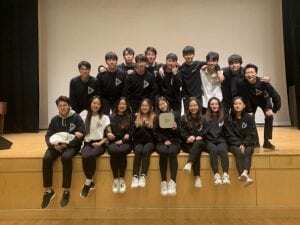 When the TPOK, a male dancing group in OSU, performed songs by popular Korean boy groups, such as BTS, EXO, and NCT, I was surprised that the audiences shouted out chants (the official version by the fan clubs), which are not even English. Thereby, not only the performers but also the audiences are avid Korean culture fans. As I am an international student who lived abroad the first time, everything here was unfamiliar. Although I’ve got used to American culture, I sometimes miss home. I think KCS was a meaningful event for Koreans, including international students from other countries, and the natives here. These cultural events provide an opportunity for both international and domestic students to get closer, as both of them can grow a better understanding of one another’s culture and background. I would strongly recommend other International Affairs scholars to visit one of similar cultural events. Although the proportion of international students is not mere, it is hard to get along with them. I believe the reason being is not that they don’t want to, but just need the chance. It would be a great opportunity as an International Affairs scholars to experience the culture around the world. On November 30th, I went to a dinner event held by the Korean Broadcasting System (KBS) in the Asian restaurant called Poong-Mei. The name of the event is ‘Mirry Christmas.’ It is a pun of the famous term ‘Merry Christmas,’ replacing merry with mirry, which means early in Korean. Thus, the event literally means Korean early Christmas. Although a great portion of the students in Ohio State University are international students, only a small percentage of them are Koreans and a few of whom are purely international students. I love meeting people from diverse background and culture, but I believe it is also important to celebrate my culture. KBS’ regular dinner event, hence, allows me to relief stress from academics and cultural differences. I am one of the founding team members of the newborn club KBS. Our vision is to help not only Korean international students in Ohio State but also Korean community in general in Columbus. We gather and broadcast useful or interesting information related to Korea, such as new K-pop songs and Korean sports team games. Our regular dinner meeting is the extension of our vision. Koreans value eating together. Sik-gu, or family, means people eating meals together, living under the same house. Before meeting an important person, entrepreneurs have meal together in Korea. As these examples show, dinner means more than eating meals. It is about sharing experience and jeong, or affection. Therefore, through these regular dinner events, Korean international students can not only meet new home country people but also relate to their meal culture. I personally believe that it is easier to get along with new people when they eat meals together. Koreans believe the reason being is that eating meals is one of the most vulnerable moments, and by showing it to another person, they are giving them the trust. While eating, club members altogether had a time going over what we have done well so far and points to improve. As KBS is just formed, our system must be unstable. We can grow our club together by learning from our own mistakes and turning them into opportunities. This dinner event was very meaningful because we could talk very honestly in a casual manner. One of the aims as an International Affairs scholars is to develop skills as a leader both locally and globally and in co-curricular activities. Although I am a freshman and still adapting to the new environment, I wanted to benefit the community. I thought KBS is the club that Ohio State and Korean community in Columbus need, so I engaged as a founding member. I am planning to establish a new club that works to raise the awareness of the Comfort Women in next semester. On October 21, I volunteered for picking up trash around the campus. Before I participated in this service activity, I was not aware that there were so many wastes thrown around the campus. My group was assigned to the high street residence street. As I lowered my body to pick up the trash, I could smell the odor. It not only harms the residents but also contaminates the environment. Rubbish including tobaccos and beer cans were thrown on the grass, and the ashes from the cigar and beer spilling from a can were entering the soil. We were assigned only a small section and yet the amount of trash was enormous, as shown in the photo below. The wastes that the residents have thrown out seem they are saying to the passer-by that they can dump trash because residents do not care. The environment made there motivates people to throw away litter on street. This service activity changed my mind about scattered rubbish around the campus. 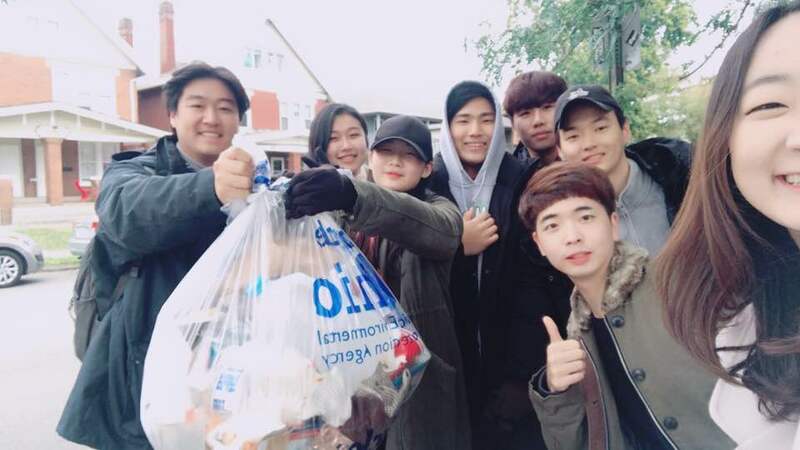 While I did not really think about it as deeply before, I underestimated the problem that volunteer activities to pick up garbage will be enough solution. To actually solve the problem, the community should work to combat the cause by, for instance, increasing more trash can or creating rules for the residents and hiring administrators to manage them. After the service activity, I felt that Ohio State University really cares about its community and its members. It encourages the community members to help each other and develop the community collaboratively by their own selves. By participating in the service activity, the volunteers, including myself, will feel that they supported the community and the members, growing empathy. Also, they will acquire more knowledge of the world. The service activities provide opportunities to volunteers to experience unfamiliar activities that allow them to look at the world from different perspectives. The more I volunteer for the service works, the more I will grow empathy. Therefore, participating in service work leads to more volunteerism, allowing me to grow as a person. This links back to the objective of Internation Affairs scholars: we learn to understand how local and University organizations encourage the service and volunteerism both around the world and within the community. On September 4th, I attended an Education Abroad Expo held in the Ohio Union. As my choice of the scholars program, International Affairs, shows, I have an ardent passion in experiencing other cultures and traveling around the world. For that reason, I am already studying in America as an international student from South Korea. During the session, the instructor informed us with the plentiful opportunities that the Ohio State University offers to its students, especially us, the International Affairs scholars. After I audited the session, I have grown more and more interest in studying outside of the United States, such as other Asian countries or Europe. Not only limited to the education that those universities abroad can provide, but I also want to live and interact with the locals, not just passing by a few days of my life. The more countries I live, the more diverse my experience will be. Therefore, I can widen my perspective. I love meeting new people, but I often experience a hard time approaching a stranger. I came to the United States for the first time, and I know no one in Ohio. Thus, every people I met here were total strangers. I challenged myself to walk outside of my comfort zone and talk to the locals. If I study abroad, the country other than the United States, I would repeat the same process, meeting new people and getting out of my comfort zone; this resembles the objectives of International Affairs. Although it is still hard to interact with people that think differently from I do, I would be able to mature academically and personally. I personally have wanted to study in either European countries or China. I major in Psychology in the Ohio State University right now, and I have been interested in my major since I was in high school. Psychology is an attractive discipline. It is a study of the human brain, behavior, and mind. I have always been curious about myself and people around me: how every people act and think differently. One study shows that Western people tend to look at a person’s eyes and mouth more than Eastern people do. As such findings present, the culture that people grow has a huge impact on their behaviors. For such reason, I wish to visit as many countries as possible. After I graduate, I even wish to work for the United Nations, so I can travel around the world to confront the issues arising in different cultures. For now, I am uncertain of which field of job I would work for, but I am thinking about taking a business minor or even a double major. If I do so, I would work on the business marketing team; if not, psychology counselor, as I initially wanted to be.